Hon. Dr. Hilda C. Heine is Deputy Minister of Education. She previously held the office of Secretary of Education, Ministry of Education in Majuro from 1992-1995. Her local focus includes supporting and improving education level of Aur students, improving community health (household toilet facilities, etc) and individual health and exploration of Youth Empowerment programs to ensure youth members are gainfully employed or trained for sustainable futures. Locally, her focus also includes facilitating better and improved marketing of existing local industries (handicraft, fish and other local industries) and exploring possibilities of new industries/skills and encouraging island replanting programs. Her national focus is on integrity in national leadership, job creation, training, improved housing, working for a fairer Tax System, family support payments (systems), and social protection for the outer islands. Since 2009 Hon. Dr. Heine has been active as Learning Scientist with Pacific Islands Climate Change Education Partnership, Pacific Resources for Education and Learning (PREL). She also holds the office of Director, Pacific Comprehensive Assistance Center with PREL, since 2005. Hon. Dr. Heine is Advisor and Founder of Women United Together Marshall Islands (WUTMI). Collaborating on the Leadership Pacific initiative since 2001, an outgrowth of the Rethinking Pacific Education Initiative (RPEIPP), Dr. Heine was among key Pacific educators to spearhead leadership development workshops for USP students, regional educators, community, NGO and public officers and many Pacific students in New Zealand. Dr. Heine is on the Leadership Pacific Advisory Board. 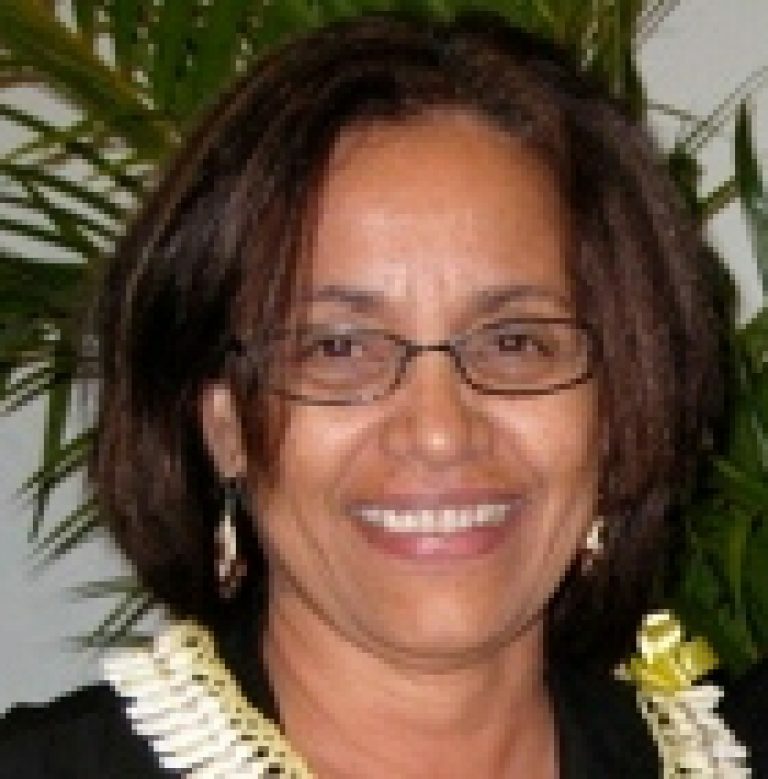 She has been involved in important research on Indigenous values for the RMI, contributed to a mapping study for the RMI commissioned by UNESCO Pacific, sat on the Teacher Standards and Licensing Board, and participated in the Commission on Education in Micronesia as well as the Human Resources in Health Task Force. From 1990-1992 Hon. Dr. Heine was President, College of the Marshall Islands (Majuro), prior to which she was Administrator at the College of Micronesia Majuro Campus, Majuro (1986-1990) and Director of Continuing Education, Community College of Micronesia, Majuro (1982-1986). Hon. Dr. Heine worked as a classroom teacher (1975-1980) and Counsellor (1980-1982) at Marshall Islands High School, Majuro. She completed her undergraduate degree at Univerisity of Oregon (1970), her Master of Education in Curriculum and Instructions at the University of Hawaii (1975) and her Educational Leadership Ed.D. at the University of Southern California (2004).